Tie up your look wearing the Oscar de la Renta™ Pearl Drop P Earrings. Silver-tone plated brass metal bow earring with glass crystals and resin pearl drop accent. 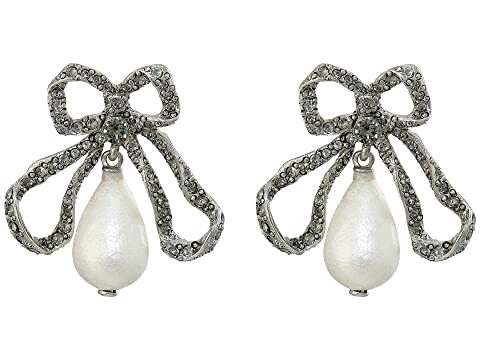 We can't currently find any similar items for the Pearl Drop P Earrings by Oscar de la Renta. Sorry!